Detroit's Decline And Bankruptcy Were Indeed Due To Its Riots - Plural! Apologists for the 1967 Detroit rioters and the feeble responses of Mayor Cavanagh and Governor Romney to that mayhem usually start off by noting that Detroit’s population and economy peaked in the early 1950’s. The implication being that the 1967 riots were just another incident in the long running, preordained decline of Detroit. Detroit’s population did peak in the early 1950’s, but its economy continued to grow right up to the 1967 riots due to productivity increases. And Detroit’s economic decline was not preordained, it was very much the consequence of both of its two major 20th Century riots. The National Bureau of Economic Research (NBER) also studied the aftermath of the 1960’s riots in urban America, specifically their effects upon African-American economic well being. Two key NBER Working Papers examine the effects of the 1960’s riots on African-American income, employment, and real estate holdings. Unsurprisingly, these NBER Working Papers found the effects were decisively negative. Surprisingly, these NBER Working Papers found the adverse economic effects actually accelerated over time, with the worst hits coming well into the following decade. The deceit in the apologists’ chronology of the decline of Detroit is their failure to mention or consider the June 1943 race riot in Detroit. The 1943 Detroit riot was unequivocally a race riot and its deaths and injuries were on a scale quite comparable to the 1967 Detroit riots. 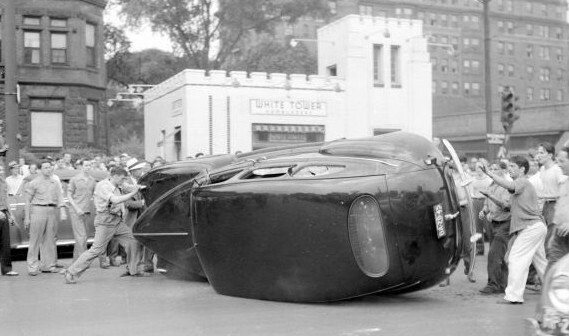 During the 1943 Detroit riots, 34 people were killed and 433 were wounded. Property destruction was then estimated at $ 2 million ($28.3 million in 2017 US dollars), but this estimate is probably quite low due to lower casualty insurance coverage rates at that time. By comparison, 43 people were killed and 1,189 were wounded during the 1967 Detroit riots. Property destruction in the 1967 riots is disputed, but was somewhere around $ 50 million ($ 366.7 million in 2017 US dollars). The different ratios of deaths and injuries to property damage in the two 20th Century Detroit riots also reflects the fundamental difference in their basic character. The 1943 riot was most certainly a race riot whose participants targeted people, but not much property. The 1967 Detroit riots were an all out economic attack on small businesses, but 1967 rioters did not target people to any particular degree. Prior to the 1967 Detroit riots, the 1943 Detroit race riot was tied with the 1965 Watts riot for the second worst American riot death toll during the 20th Century, and probably tied with Watts for the third worst American riot death toll of all time. 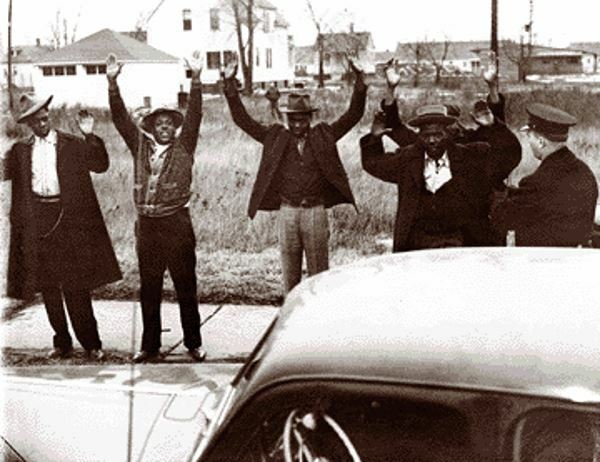 The 1943 Detroit race riot had only been surpassed in death toll during the 20th Century by the 1921 Tulsa race riot at the time of the 1967 Detroit riots. The 1943 Detroit race riot has not been studied by academia or covered by the media in much detail because it exposed New Deal incompetence and reflected very poorly on the American war effort underway at the time. The 1943 race riot certainly did affect the thinking of Detroit residents and Detroit’s economic actors well into the 1950’s. 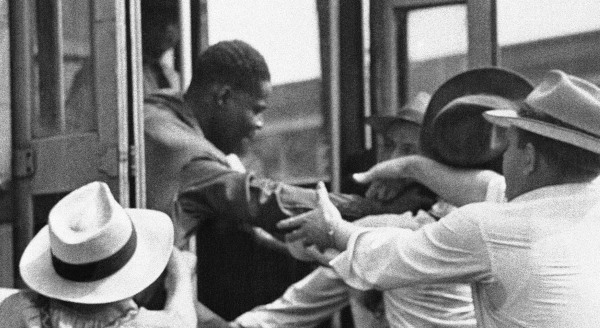 Most of them lived through those 1943 race riots and were intimately familiar with the the racial tensions it revealed, even if they were not much publicized. You need to consider the causality issue underlying the decline of Detroit’s population during the 1950’s. Were the factors usually cited for Detroit’s population decline in the 1950’s sui generis, or a response to the 1943 riots? It is reasonable to assume that the economic consequences of those 1943 riots also accelerated over time and increased over the following decade. That following decade was the 1950’s, precisely when Detroit’s population started to decline. Exactly what the two NBER Working Papers demonstrate for the economic consequences of the 1960’s riots. 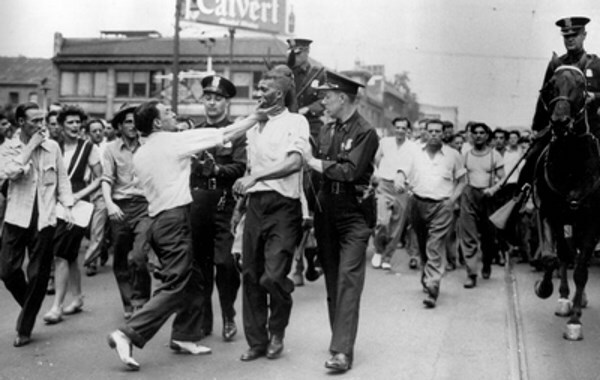 Detroit’s 1950’s population loss was actually the first wave of riot-induced ‘white flight’. The complete abandonment of Detroit by whites after the 1967 riots was actually the second and final wave of riot-induced ‘white flight’ from Detroit. Two major riots were simply too many for the remaining Detroit middle class. Even the African-American middle class began its departure from Detroit. There are many other factors involved in Detroit’s 1950’s decline, but few observers have considered them to be a response to the 1943 riots. This is a serious mistake, if only because it allows the 1967 Detroit riot apologists to shirk assigning accurate responsibility for the disastrous Detroit economic decline which followed the 1967 riots. Social scientists have studied the causes of the riots for a long time. Now two NBER papers by William Collins and Robert Margo instead examine the economic impact of the riots on African-Americans and on the cities where they took place. In the first paper, The Labor Market Effects of the 1960s Riots (NBER Working Paper No. 10243), they find that the riots had economically significant negative effects on blacks’ income and employment. Further, those effects may have been larger in the long run – from 1960 to 1980 – than in the short run – from 1960 to 1970. Although they characterize their baseline estimates as “tentative,” Collins and Margo find a relative decline in median black family income of approximately 9 percent in cities that experienced severe riots relative to those that did not, controlling for several other relevant city characteristics. There is also some evidence of an adverse effect on adult male employment rates, particularly in the 1970s. Between 1960 and 1980, severe riot cities had relative declines in male employment rates of 4 to 7 percentage points. Individual-level data for the 1970s suggests that this decline was especially large for men under the age of 30. In the second paper, The Economic Aftermath of the 1960s Riots: Evidence from Property Values (NBER Working Paper No. 10493), William Collins and Robert Margo investigate the influence of riots on central city residential property values, especially black-owned properties. They find that the riots significantly depressed the median value of black-owned property between 1960 and 1970, with little or no rebound in the 1970s. The baseline estimates for severe-riot cities relative to small-or-no-riot cities range from approximately 14 to 20 percent for black-owned properties, and from 6 to 10 percent for all central-city residential properties. Household-level data for the 1970s indicate that the racial gap in property values widened substantially in riot-afflicted cities relative to others. Every American needs to clearly understand that rioting is ‘cutting off your nose to spite your face’. Glamorizing riots as insurrections, rebellions, or uprisings promotes future riots and the most grievous economic costs accrue to the the rioters themselves. Historical revisionism serves no one’s interests. It's been a shithole since '67, and will remain one. Gilbert is an example of pure capitalism improving individual economic outcomes. That is something we should celebrate. Tell me your tongue is firmly planted in cheek. Pure capitalism, is not condemnation, cronyism, and favored legislative outcomes for a private party. This is the kind of crap we have to overcome, because the left believes crap like that. Check the house for CO quickly. "Pure capitalism" injures No-One. It is 100% voluntary, requires no favors from government, and can stand on its own. Sometimes it fails, and sometimes it succeeds, but only those who engage in it's mechanisms are at risk. You would rather he be taxed into oblivion at leftist Detroit rates? I would rather let the chips fall where they may. A reset is scary, but it serves all in the best way. Again, stop with the "pure capitalism" lie. If you want to argue that payola and graft is good for Detroit, then make that argument. Thank you so much 10x25MM. Sending the "series" to my kids--its a lesson of how history is studied and reported. This read is such a refreshing change to all of the revisionist tripe that has been clogging up the airwaves over the past several days. What really surprised me though, is how much traction this "rebellion" bunk has gained though all of this. Granted it only re-enforced the progressive notion that changing a name, changes what actually happened (a quick tour of anywhere outside of Downtown should easily disprove that). That been said, kudos on a well-done piece.